Carrollwood Day School is pleased to announce the appointment of Larry Pittman as Chief Financial Officer, effective June 2018. 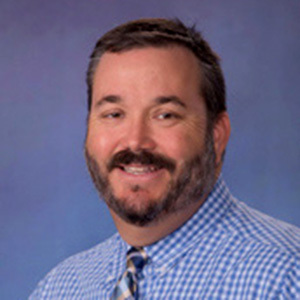 As a member of the school’s administrative team, Pittman will be responsible for directing and controlling all phases of business and financial operations. Prior to joining CDS, Pittman spent the past 14 years as the Director of Finance and Operations at The Pine School in Hobe Sound, Florida. There he was instrumental in starting a high school and consolidating two campuses to the current K-12 campus. Pittman is an active board member of MISBO and chairperson for the Emerging Issues committee. He has a bachelor’s degree in accounting from Florida State University and earned his MBA in international business at NOVA Southeastern University. Prior to the education industry, Larry worked in corporate accounting. My why/purpose is to make a positive difference in this world. I know I can do this by interacting with and getting to know you and your children. It is an honor and a privilege to serve the Carrollwood Day School community. I look forward to meeting you all and becoming an essential part of the CDS family. Larry is a Gulf War Veteran and volunteers regularly, assisting veterans and their families as well as international humanitarian efforts in Central America. An avid outdoors-man, he likes spending time paddle boarding, hiking, hunting and fishing. Larry and his wife Eileen have two adult daughters, Grace and Claire both girls attend college in Florida.